We are very happy to announce that the Event Espresso HD Android app has been published to the Google Play Store. This is a major update to our Android app. However, the update will NOT appear as standard update on your mobile device, because the original version of the Event Espresso Android app has been removed from the Android Play Store. In order to update to the latest Event Espresso Android app, you will need to install the app on your phone by searching for “Event Espresso” in the Google Play store or by clicking this link from within your Android device. 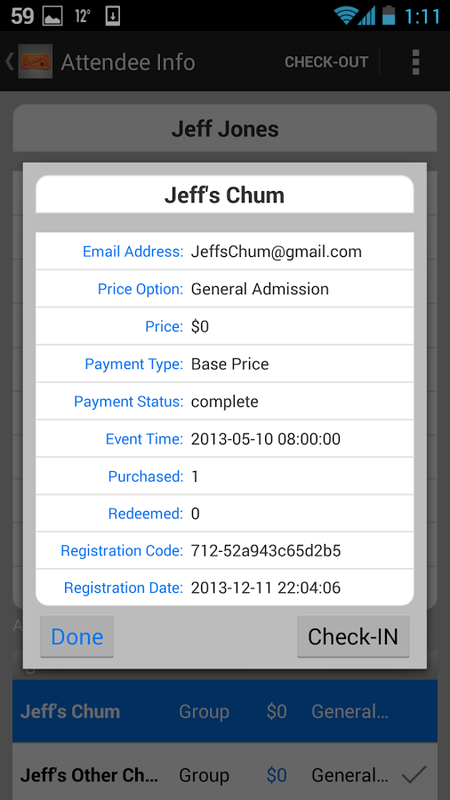 This app will work in conjunction with our Ticketing System and QR Codes, via the JSON API add-on we released in 2013. 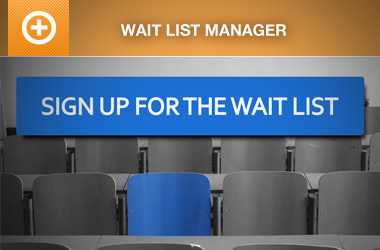 Allowing events managers to scan tickets and QR Codes at the door and to check in attendees. The Event Espresso JSON API is required for this app to function properly. Therefore, the old Android API, also named Espresso Services, will be retired within 24 hours of this post. Version 1 of the Android app was just not built to use the new Event Espresso JSON API, and used outdated code and technology, therefore making it unstable and unusable for most of our users. How do I Get Access to Event Espresso HD? 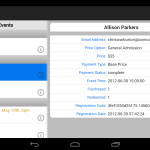 The Event Espresso Android HD app can be installed directly from the Google Play Store, from within your Android device. 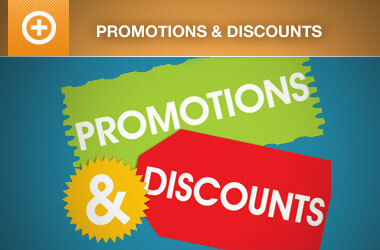 Please view the documentation, find answers about this add-on in our support forums, or ask a pre-sales question. 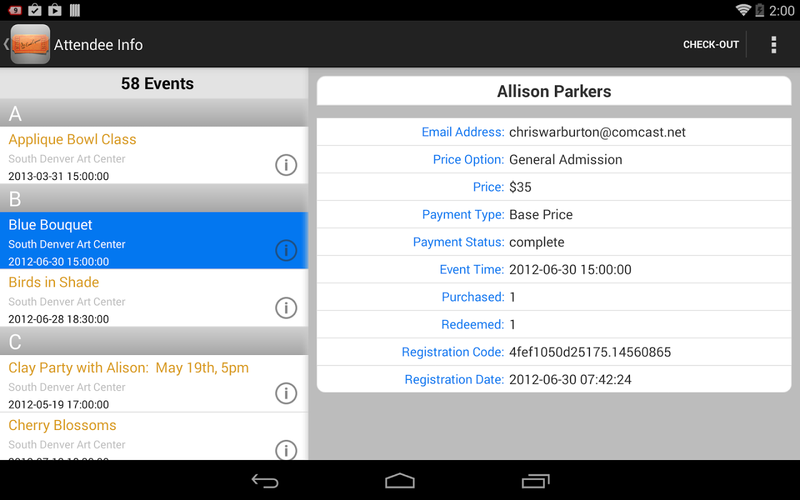 How is this different from the old Event Espresso Android App? Event Espresso HD for Android was re-written from the ground up, with support for both Android tablets and phones, as well as the Espresso JSON API. What version of Android does Event Espresso HD support? As of today, February 18, 2014, the lowest version of Android that Event Espresso HD supports is Android 2.2 Froyo. To find out if Event Espresso HD works on your device, please visit the Event Espresso HD page of the Google Play Store. Will we still support the old Event Espresso Android App? No. 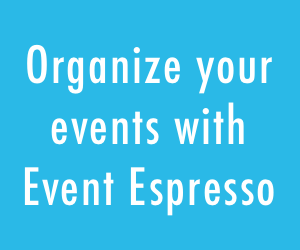 We will no longer support the original Event Espresso Android app (version 1). 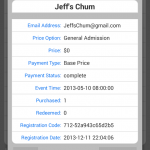 Version 1 of the Event Espresso Android app did not support our new JSON API. The app was completely rewritten in order to function with the JSON API. Will this new Android app work with Event Espresso 4.1? 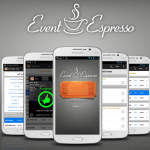 As of today, February 18, 2014, unfortunately the Android app will NOT work with Event Espresso 4.1. However, the Event Espresso Development Team is hard at work developing a new version of the Event Espresso JSON API, which is an important component in the Android (and iOS) apps and has to be rewritten to interface with our new “Custom Post Type” system. How is the Android app different from the iPad/iPhone app? Right now, the Android app is very similar to the iPad/iPhone app and provides all of the same functionality. However, we feel that by developing an app for the Android system, we can create a better user experience, and add more features at a faster pace, than the iPad/iPhone devices. We will continue to support the iPhone and iPad apps, but we may not be able to develop new features for the iOS platform at this time. Where should I provide Feedback and get Support? We have thoroughly tested the android app in-house. While all major bugs have been resolved, we can’t catch them all. If you find a bug, or have a suggestion, please post in our support forums. If the app ever crashes on your Android device, the device should prompt you to send a crash report back to the developer. Please send that report and give us a short description of what happened. These reports are very very important us and will give us the line of code that made the app crash. So please please please send that report if the app ever happens to crash. (FWIW, the old app never showed up in the store on that device either, probably for the same reason). Our developer is looking into the issue. He thinks it might have something to do with the your device not having a camera on the back. Or it could be that he didn’t add your specific device to the list of supported devices. Looks like our developer had to tell Google to allow your device the option to install it. Because your device does not have a camera, Google thought that your device was not compatible. You should be able to use the app, but won’t be able to scan tickets, of course. Thanks Seth. It shows up now and downloaded fine (and an update already). Yes, this device won’t be able to scan tickets but I’m just in evaluation mode at the moment (and we’re not yet using tickets for our event anyway). Thanks for the attention on this! Having issues with Galaxy S4 on KitKat and Nexus 5 on KitKat. We can login to the server but no events are returned. It works on iPhone though….